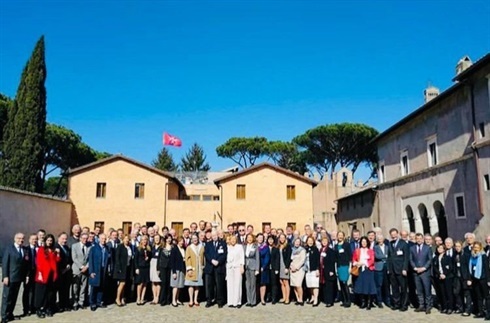 Participants from Europe, the Americas, Asia and Africa met in Rome to review current projects, and discuss those coming onstream. 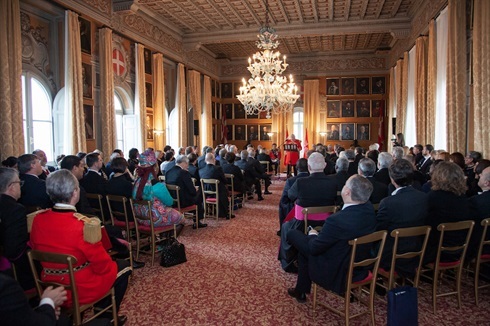 The meeting was hosted by the President of the Order's Italian Association and the group was welcomed by chairman, Grand Hospitaller Dominique de La Rochefoucauld-Montbel. Project updates included the work for drug addicts, the disabled, the elderly, and the poor in many countries who in these economic times need support in many areas - healthcare, food, clothing. 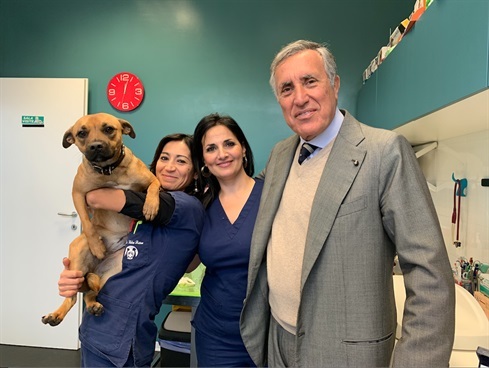 A recent special initiative is the veterinary clinic set up at the Order's First Aid Post in St.Peter's Square, as many homeless guests own dogs which are an important element in their well-being. The volunteer vets provide checks, give vaccinations when necessary and implant id chips. 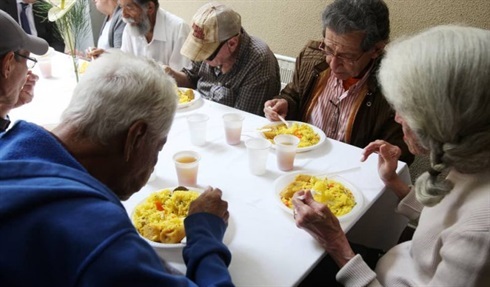 The Order’s Venezuelan Association has set up a hot meal service for thirty disadvantaged elderly in the metropolitan district of Caracas. Led by President Gaspare Lavegas, this first stage of the support programme is now in place, with a second phase planned to provide a healthcare centre, staffed by doctors working with the Order. The Association was founded in 1957, following the Order’s mission to care for those in most need. Venezuela’s economic, social and political crisis has forced many people to leave the country. 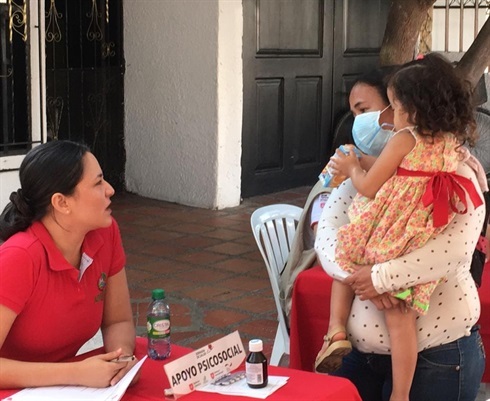 Since September 2018, the Order of Malta’s worldwide relief agency, Malteser International, has been providing aid and healthcare to thousands of refugees on the Colombia border. The Breakfast Club celebrated their 2nd Anniversary this month. In two years the service has gone from welcoming 4 to 47 homeless guests. 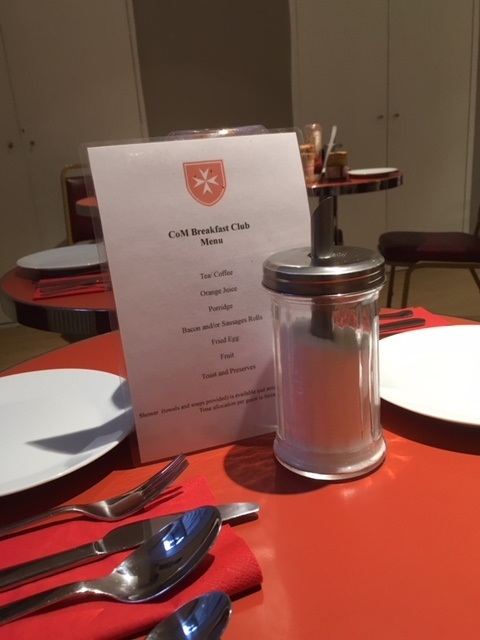 Every Wednesday morning between 6 – 8am the homeless come to Golden Square, Soho, central London to enjoy a delicious cooked breakfast with showers on offer and the morning’s papers to leaf through. Volunteers from the Order of Malta and the Companions of the Order prepare the hot food, while others are on hand to chat with the guests. When the homeless guests leave at 8am, they are each given a sandwich for lunch – a great way to start the day. A ‘take away edition’ of the Order’s current worldwide activities – the Facts and Figures 2019 flyer - has just been published. 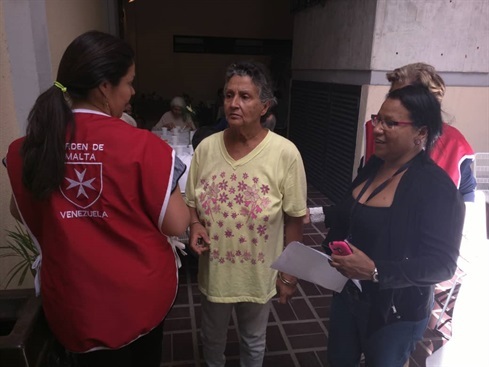 Malteser International is providing aid at a Hospital in the urban centre of Riohacha in Northern Colombia, and running mobile medical teams into remote rural villages, providing hygiene kits, agricultural equipment, food, and cash to very vulnerable families. What is urgently needed now from the international community, she says, is more doctors and more medicines. 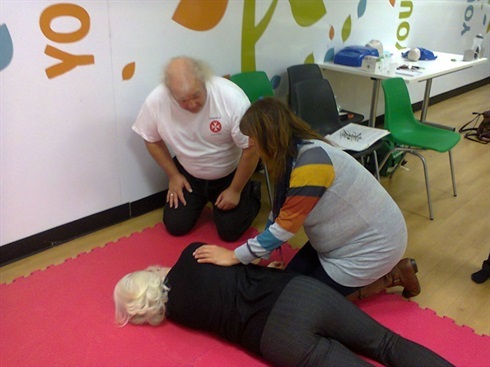 In the isolated rural area of Caithness, Companions of the Order have been running free first aid courses for young families. This year they have added visits to a primary school to teach the children and parents during their After School Club. The initiative is a traditional one in the Order of Malta, where trained volunteer first aiders operate in 33 countries in Europe and the Americas. Order of Malta volunteer first aiders from Italy, Germany and France were among the 600,000 young people who attended the Panama events. The Grand Hospitaller Dominique de La Rochefoucauld-Montbel led the Order’s delegation. All the volunteers are specialised in accident and emergency care, and were in attendance at all the main events, working closely with the Panamanian first-aid, civil defence and fire-fighting services, and with the Vatican Gendarmerie Corps and Swiss Guards. 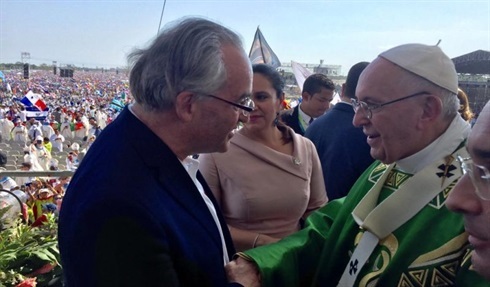 Pope Francis expressed his appreciation for the Order of Malta’s medical assistance during the events. Most treatments resulted from reactions to the high temperatures, such as dehydration and exhaustion, and twists and strains following falls. 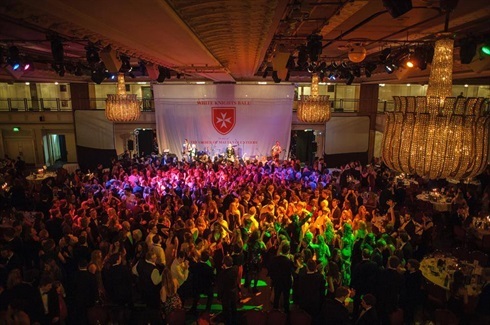 A thousand guests danced the night away in central London’s Grosvenor House at a highly successful fundraiser for the Order of Malta Volunteers (OMV), one of the UK's leading youth charities, last Saturday. The sell-out evening ensured that funding for the OMV’s main charitable projects is on target for this year. Special events for young disabled, pilgrimages to Lourdes and Walsingham, and participation in the Order’s international summer camp for young disabled this August are the 2019 highlights. After his welcome and exchange of new year greetings, Fra’ Giacomo Dalla Torre outlined the Order’s special role in the humanitarian and international scenario and its current focus on care for migrants and refugees, as its work has become increasingly visible on the international stage. With winter cold and dark nights, help for the homeless in Aberdeenshire is much needed. 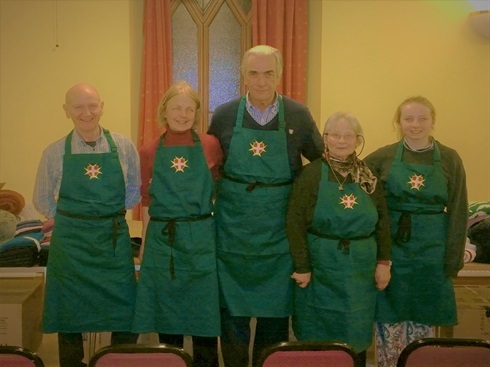 Members of the Order and Companions worked together to organise a Christmas supper for the homeless in Aberdeen, and to distribute much needed parcels of food and clothing to those in Banff. Donations came from Tesco, Banchory (food) and Primark, Aberdeen (warm clothing) and the Christmas parcels were packed by members of the Companions of the Order.